SCS operates within the charter and on the beautiful, forested grounds of Saraha Nyingma Buddhist Institute in Eugene, Oregon. 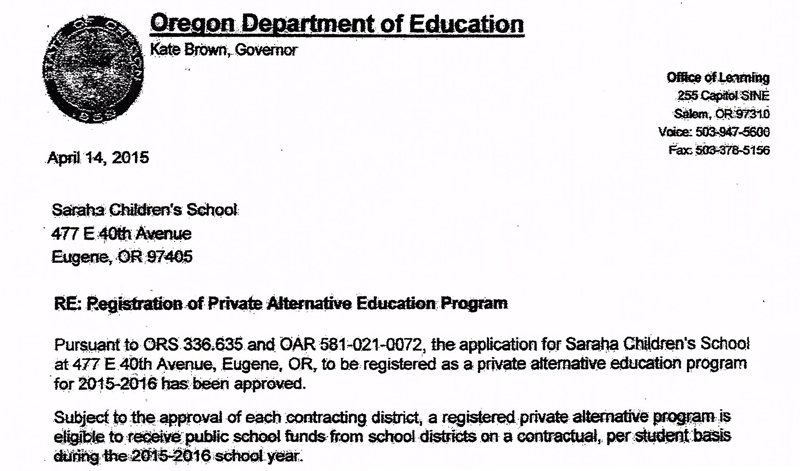 Ours is the first ODE-registered Buddhist-oriented children’s school in the State of Oregon, and one of the first such schools in this country. The 2018-19 academic year is currently under way. We are accepting enrollment applications for the 2019-20 academic year, and limited enrollment for grades K-2 is still available for the current year. 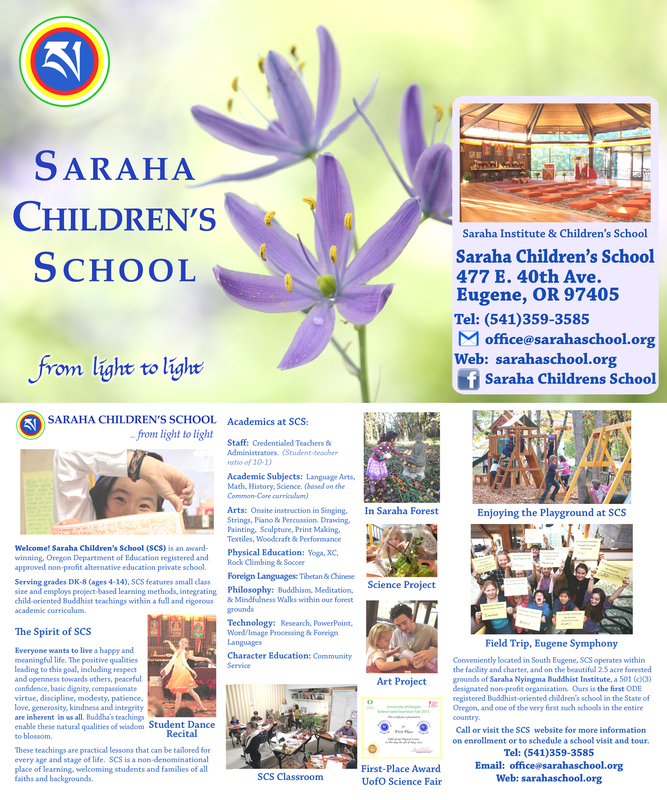 Look through this site to learn more about the background, philosophy, policies, curriculum, calendar and activities of Saraha Children School, and more about our Students and Teachers.